As a result of the announcement on Friday (25th January 2019) that food labelling is to become much stricter in order to protect food allergy sufferers there seems to be some light at the end of the tunnel. The government is looking to impose stricter rules around labelling of sandwiches and salads, that are made, packaged and sold in-store. At present these foods are not required to carry any food labelling. The Department for Environment, Food and Rural Affairs has reported that the consultation is to give the approximate 2 million people living in the UK with food allergies confidence in the safety of their food. But hold your horses allergy sufferers, because it looks like a lot more regulation around labelling still needs to be implemented! The jumping up and down for joy that you can be at ease will have to be put on hold. How many beauty products promise you a youthful glow but contain allergens? 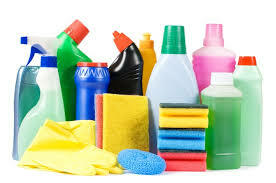 How many household products are advertised on TV but contain allergens? 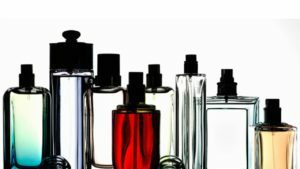 How many perfumes smell lovely and sweet but contain allergens? These are just some products which do not have to be labelled with the allergens they contain. In fact, the ingredients in cosmetic products only have to be labelled in Latin. How many people, and allergy sufferers, know the name of their allergen in Latin? I doubt if all 2 million people living in the UK do! This is such an important issue which is being overlooked by the government as well as by DEFRA. Allergens can pass through skin contact to promote or start up an allergic reaction. Especially if one is suffering from eczema, they are more sensitive in that direct are of skin, and therefore, the contact from their allergen can be worse, even fatal! Although the allergy sufferer is bypassing oral consumption, their allergen is still entering their system through their skin and is just the same as if they were to eat the cosmetic product, (albeit it probably wouldn’t taste as yummy as a creative nature product!) However, it is this issue which needs to be addressed without delay. Don’t you agree?